This nosepiercing is a stud piercing. The back has been pre-bend and could be bend further if you wish. 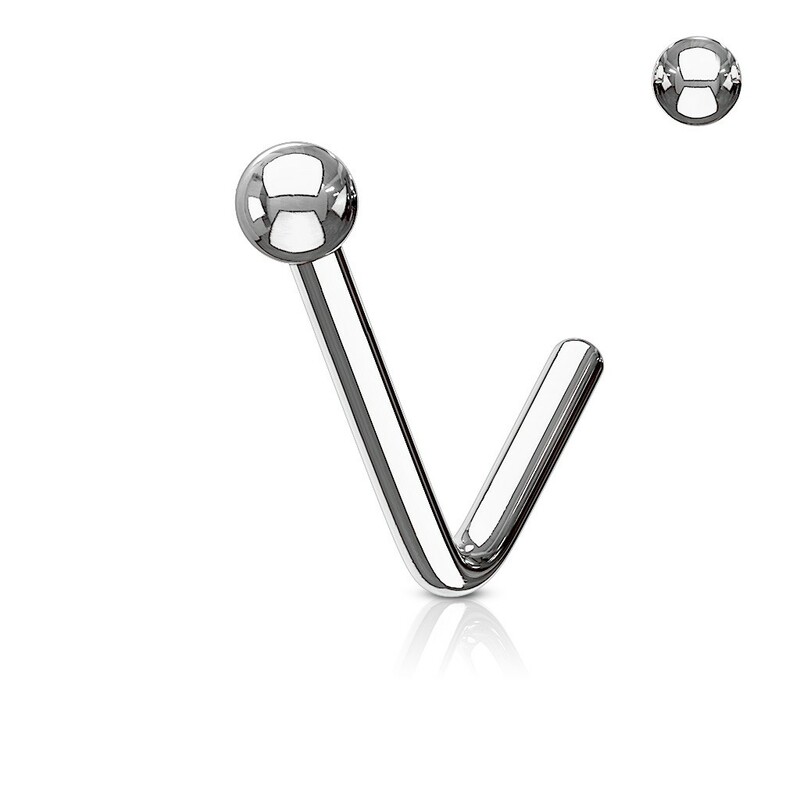 The curvature prevents the nose piercing from falling out by accident. This nose stud is pretty subtle due to their small ball size of 2 mm. 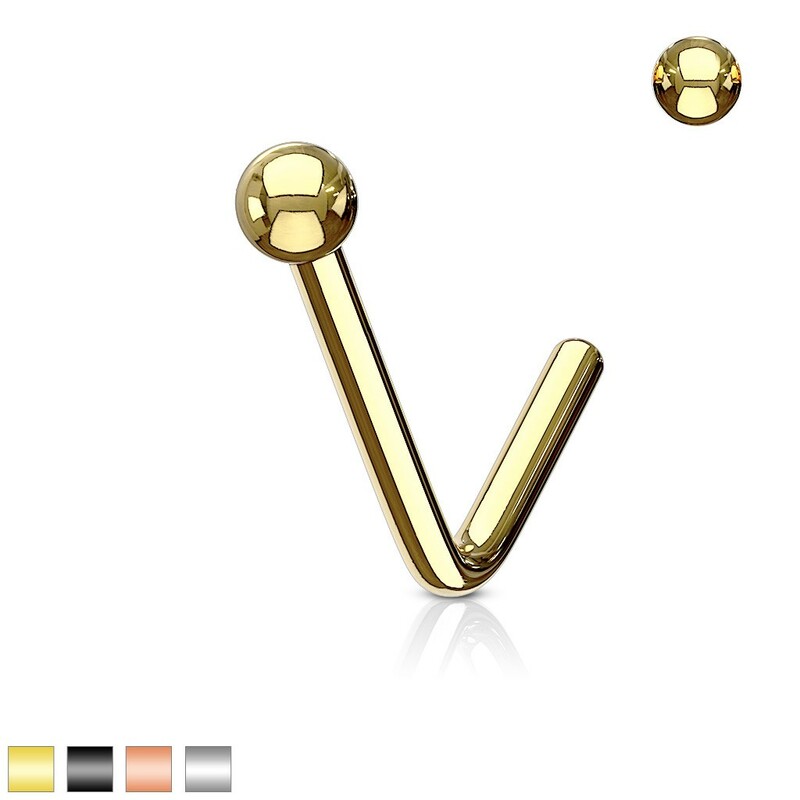 A nice and basic nose stud with a coloured design.